Lavender oil is used in aromatherapy to help calm nervous or anxious animals. I’ve used it in wildlife rehabilitation by putting a few drops of pure, pharmaceutical grade lavender oil on a cotton ball, which I tape to the outside of the cage. It’s tremendously effective. If your dog has a noise phobia, I recommend placing a few drops on his collar or bedding before a stressor occurs, if possible, or diffuse the oil around your house for an overall calming effect. If you’re looking for a natural flea repellent, you can add a few drops of lavender essential oil to equal parts apple cider vinegar and water, and spritz it on your pet before she goes outside. Kitty has feline dermatitis, after cleaning the skin wound with dilute povidone iodine, apply a few drops of lavender oil diluted with coconut oil to encourage healing. Lavender oil can also be beneficial for treating hot spots. Add a few drops to manuka honey or coconut oil and apply after disinfecting the wound twice daily. You can use the inner gel of the aloe vera plant to reduce the discomfort of skin irritations, cuts or wounds on your pet. After you clean the area, apply raw aloe to provide a soothing effect. A small amount of aloe vera juice, which is a natural laxative, can be added to your pet’s food to help with constipation. If your dog develops acral lick dermatitis, also known as lick granuloma, which is an injury to the skin caused by constant licking, consider applying a raw aloe poultice after cleaning the area. Fillet a fresh aloe leaf and place it, gooey side down, on the wound. Replace with a fresh leaf about every four hours. Ginger is a widely used, non-toxic, non-irritating remedy for soothing tummy troubles. You can either give it orally, or use it in oil form by applying a few drops to your palm and massaging it into your pet’s stomach. Alternatively, add small amounts of fresh ground ginger or the dry herb to a tasty meatball or other yummy treat. Use no more than a pinch (1/16th teaspoon) for kitties, 1/8th teaspoon for small dogs under 10 pounds, 1/4 teaspoon for medium-sized dogs, 1/2 teaspoon for large dogs and 3/4 to 1 teaspoon for giant breeds. Give the ginger one to three times a day as needed. If you’re using it to help with motion sickness, be sure to give it to your pet at least an hour prior to travel. Alternatively, you can add 1/4 cup ginger tea per 20 pounds of body weight to food daily as needed. Oregano essential oil contains potent antibacterial and anti-parasitic properties. It can be used in lots of different ways, soothe irritated gums and to assist in balancing a dog’s gut flora. 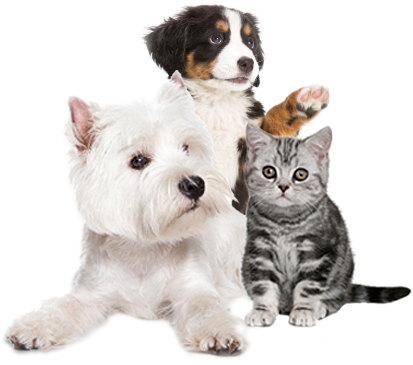 If your pet has ear mites, you can apply diluted oregano oil after removing the gunk and debris from the ears. Your dog has a yeast infection? I recommend adding natural antifungal foods to the diet, including small amounts of fresh oregano to help reduce the level of yeast naturally. Also use oregano oil added to shampoo. Oregano reduce bacterial growth in patients with MRSA infections, added to food for dogs with kennel cough or recurrent infections. Manuka honey is one of my favorite all-natural, incredibly effective remedies. Clinical trials have shown that manuka can successfully eradicate literally hundreds of strains of bacteria, including certain antibiotic-resistant varieties. Manuka has an exclusive ingredient with antimicrobial qualities called the Unique Manuka Factor (UMF) that gives it extraordinary antibacterial activity. Honey releases hydrogen peroxide through an enzymatic process that gives it its antiseptic qualities. Active manuka honey contains a “special something” that makes it far superior to other types of honey. when it comes to killing off bacteria. The level of UMF varies, which is why each batch of manuka is ranked and priced according to the quantity of UMF it contains. The higher the concentration of UMF, the darker, thicker and more expensive the honey. A rating of UMF 10 or higher is recommended for medicinal use. I’m a huge believer in the benefits of coconut oil for pets. Coconut oil is a concentrated source of medium-chain triglycerides (MCTs), which benefit cognitive function. I recommend feeding 1/4 teaspoon of 100 percent organic, cold-pressed and human-grade coconut oil. It can be added at mealtime to your pet’s fresh homemade or commercial raw diet. In addition, coconut oil is a rich source of lauric acid, which is a powerful antimicrobial agent. This makes it an especially good choice for pets with yeast infections or allergies. It may also help with hairballs in cats. Coconut oil can also be used topically for skin conditions. It can help improve the overall condition of your pet’s skin and clear up itchy, irritated spots. It also helps soothe and heal cuts, stings, bites and hot spots. Chamomile is a wonderful calming agent. It also has analgesic and anti-spasmodic properties, and is beneficial in soothing the central nervous system. You can use chamomile to calm pets who are, for example, anxious about vet visits. You can also use a cool chamomile tea bag against a wound on your dog’s or cat’s skin to provide a soothing effect. Something else to consider is a soothing chamomile after-bath rinse for your pet. Add five chamomile tea bags to 2 quarts of very hot water and steep until the water is cool. Remove the tea bags and pour the rinse over your freshly bathed pet from the neck down. Massage into the skin, and don’t rinse. You can even “recycle” the used tea bags for use later as a soothing topical poultice for hotspots or rashes.